When I was young, I used to build elaborate castles out of wooden blocks. 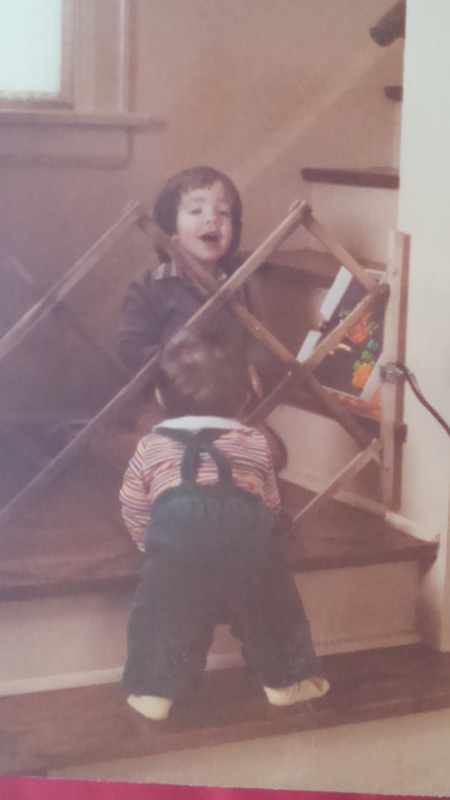 Then, my younger brother Ben, would come running through and smash it all to pieces. Ben was a metaphor for the way my high school history book1 presented a variety of groups like the Mongols, the Huns, the Vikings, and the Sea Peoples (oddly not the Conquistadors, etc.) as nightmarish, irresistible, and bent on wanton destruction. Like my brother, they were external forces of chaos that swept in, pushed “Western Civilization” to the breaking point, and then mysteriously vanished. Of these groups, the Sea Peoples distance in the past made them, by far, the most mysterious. In Eric H. Cline’s 1177BC: The Year Civilization Collapsed2 does not set out to clarify the record on the Sea Peoples – they remain pretty clouded in the mists of time. Rather, Cline walks us through what historians know, suspect, and argue about. Cline’s goal is to help us understand what collapsed at the end of the Bronze Age, what “collapse” actually meant, why it was so important, and what were the factors that caused this change. One of those factors was the Sea Peoples, even though we do not know exactly who they were. Contrary to their portrayal in my high school textbook as a malignant force working to destroy civilized order to feed short-sighted greed. Cline identifies them as one contributing factor to what he speculatively calls “A ‘Perfect Storm’ of Calamities?” in the heading of Chapter 5. Indeed, the migrations/invasions of the various Sea Peoples (it does not seem to be the same groups everywhere) were probably motivated by many of the same factors that were impacting the network of civilizations on which we generally focus. The Sea Peoples came as invaders, raiders, migrants, and traders – all of which put pressure on the other Bronze Age civilizations as they attempted to adapt to a changing world. The book’s titular year references an event that is often regarded as a tipping point for Bronze Age civilizations – a dramatic battle between Egypt and invading Sea Peoples. Notably, the Egyptians actually won this battle (and bragged about it a lot), but it was still enough to push the internal instability over the edge. While some city-states were attacked and destroyed, this is not the same as the collapse of Bronze Age civilization. What was it that collapsed? The civilizations of the Bronze Age were linked in an early version of a globalized trade network. This network may have been susceptible to collapse due to the difficulty of travel and the nature of the economies at that time. When we talk about collapse of Bronze Age civilization, we may really be talking more about a collapse of this trade and communication network, as well as its downstream consequences. The effects of the collapsed proto-globalization network under pressure from multiple factors carries some uncomfortable parallels for today’s world. We would like to believe that our global networks are more robust than those of the Bronze Age, but we cannot be sure. The surface evidence would suggest we are more secure, but, as Cline notes repeatedly, most of the evidence of smaller scale, varied trade in the Bronze Age that should give the network more stability is not evidence we can expect to have survive for millenia, except in a few unusual cases. In may ways 1177BC reminds me of The Inheritance of Rome. Both are fascinating, but dense. These are not light, beach reads. They, however, reward the reader’s diligence by reforming the way one thinks about the dramatic narratives of history and how they play out over lifetimes of human experience. At one level, for a farmer or trader, the rate of change of civilization may not be noticeable. As Chris Wickham notes in The Inheritance of Rome, no one actually observed the Western Roman Empire collapse. It did collapse, but on a time scale longer than individual human lifetimes. On another level, change could be dramatic. If you were the resident of a walled city that was overrun, sacked, and burned by invaders, your lifestyle would change dramatically and instantly for the worse. The change would be potentially cataclysmic. Both 1177BC and The Inheritance of Rome implicitly invite the modern reader to apply the lessons of history to our modern societies. They also force us to ask a more troubling question than simply “Is our way of life collapsing?” like Jared Diamond’s Collapse. Rather, we must ask ourselves “How can we know if our civilization is collapsing?”3 And unlike Diamond, who presents collapse as the result of a society’s choices, Cline (and Wickham) leave us with the certainty that collapse is something that happens to all societies amidst a gradual accumulation of pressure. There is no “straw that broke the camel’s back”, merely a hell of a lot of straw. 2. I received a review copy from Princeton University Press via publicist Jessica Pellien. 3. Obviously, there have been and always will be an army of pundits to assure us that civilization is always falling apart around us and that we have disgraced the legacy of some former golden age. *You will note, that there is no characteristic bout of pedantry in this review as I am just self-aware enough to realize that a history minor from Duke University does not constitute expertise on anything. 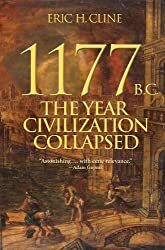 This entry was posted in Follies of the Human Condition and tagged 1177BC, 1177BC: The Year Civilization Collapsed, Book Review, Bronze Age, Eric H Cline, Sea Peoples. Bookmark the permalink. While i liked Diamond’s ‘Collapse’, I did think that he used his examples to generalize across all societies. I’ll have to look for this book, while i went to a high school that emphasized the Classics, Ancient History, ant the study of Latin and Ancient Greek, I learned next to nothing about the Sea Peoples. I found “Collapse” interesting, but superficial. The Easter Island narrative has not really held up. Also, “collapses” rarely look like what we expect them to. With due deference to Mike’s wonderful series of post-apocalyptic book reviews, societies almost universally die, not with a bang, but with an extended whimper. A book on the collapse of the British Empire is worthwhile, ‘Empire’ by Niall Ferguson, though it does display the writer’s personal bias, it is a good read. Diamond’s examples seemed to be societies on the fringes, like Easter Island and Greenland, which by their isolated nature already would seem to have a built in disadvantage. Collapse should be subtitled ‘How These societies failed’. Or, perhaps, relative to Greenland & Easter Island, “Can you believe they lasted this long?” If memory serves, the discussion of Mayans was the most relevant to societies that actually have a decent situation.